Broccoli is a green vegetable which closely resembles the cauliflower and belongs to the same family also, collectively known as cruciferous vegetables. 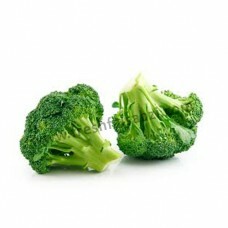 Broccoli helps maintain a healthy nervous system and optimal brain function, as well as promotes regular muscle growth. It helps to regulate blood pressure. It fights against heart disease and stroke.